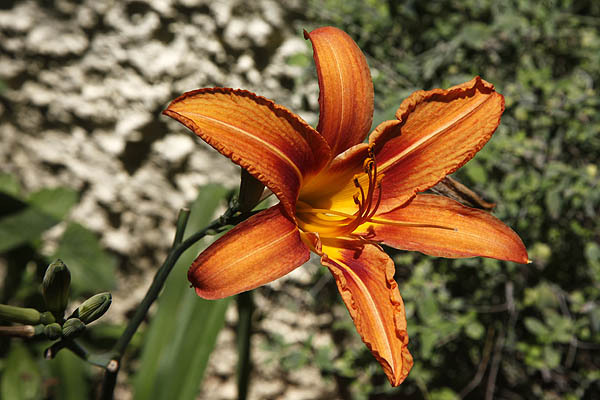 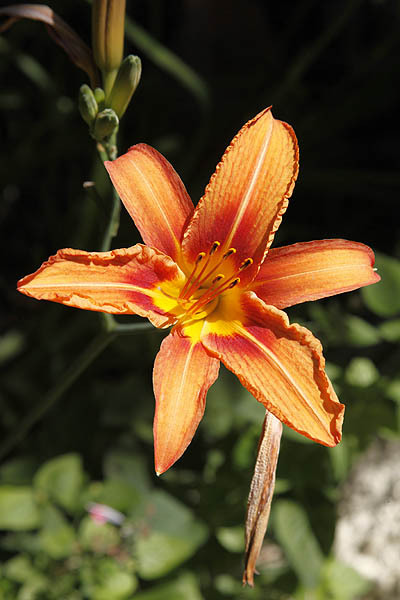 Scientific name: Hemerocallis fulva (L.) L.
Habitat: Forests, thickets, grasslands and stream-sides. 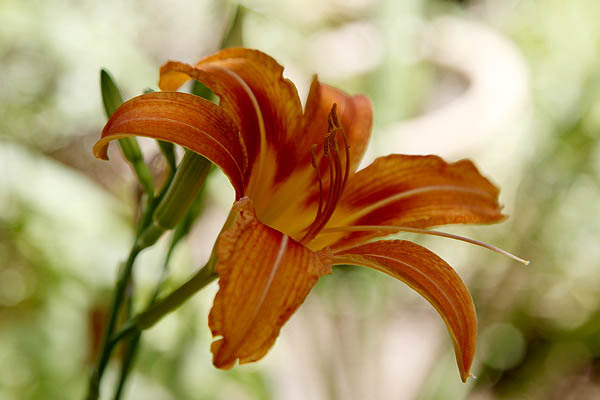 Hemerocallis, Greek hemera, day; kallos, beauty. 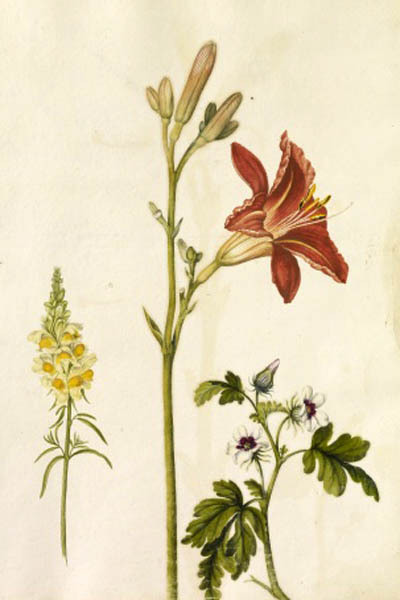 The artist Alexander Marshal (c. 1620-1682), a friend of the great gardener John Tradescant the Younger, produced an accurate painting of the ‘The day lillie’, a page of three flowering plants including: a Day Lilly, a yellow Toadflax and a sprig of Malva horaria (or Time-keeping Mallow).